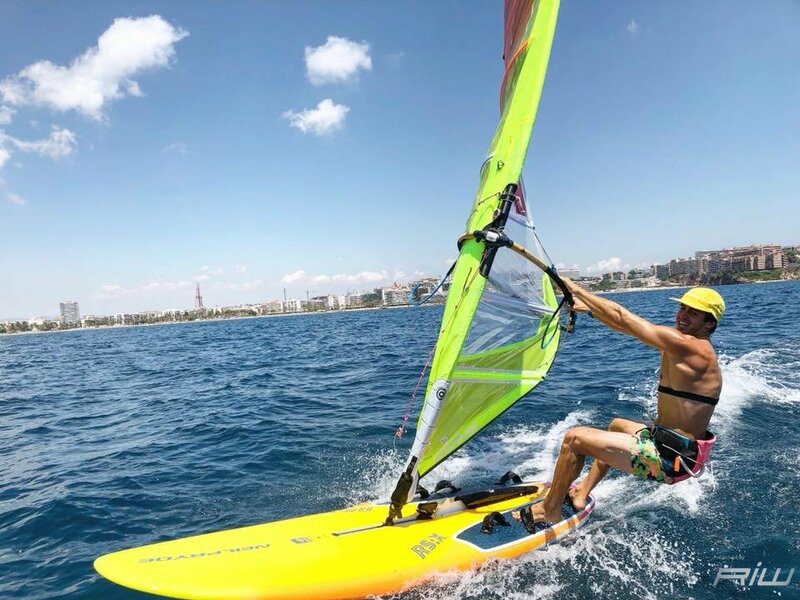 28/06/2018 – Only one more day to the end of the Mediterranean Games, and finally the wind has come forward. 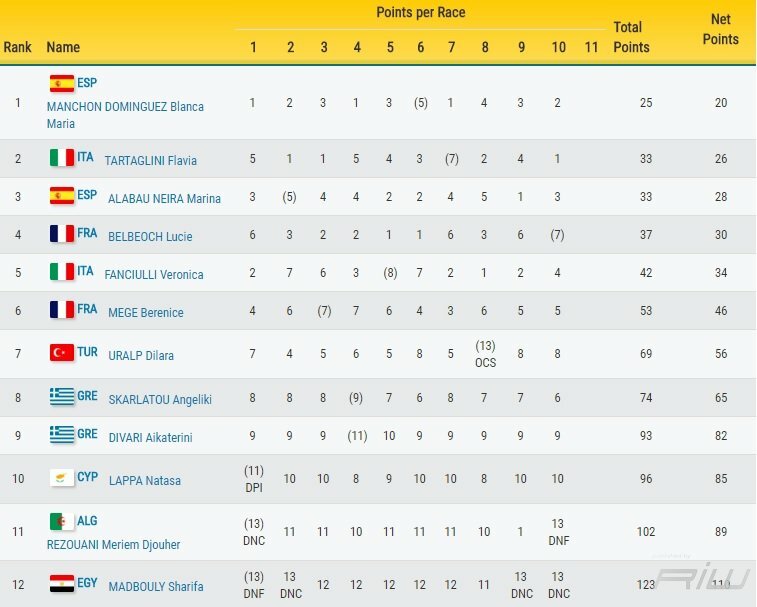 Cliffhanger in female where the Spanish fleet Blanca Manchon automatically wins the day before, the Iberian athlete having a very low waste awarded the victory as it lacks a single test at the end of the season and none of the athletes in the game can retrieve it. 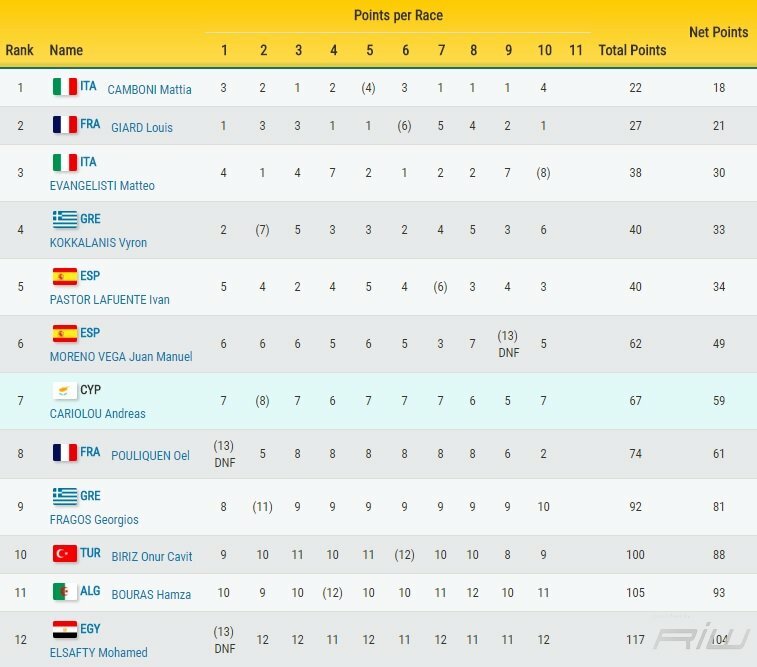 It remains an open challenge for the 2nd and 3rd place occupied respectively by Italy's Flavia Tartaglini and Spain's Marina Alabau. Keeps the 5ta position L'italiana Veronica Children. Very interesting situation in male fleet where the podium is still to be seen. 3zo the Italian Matthew Evangelisti, 2do the French Luis Gar and 1st the Italian Harry Cabrera.